Integer is a highly specialized litigation enterprise established to protect and advance the legal interest of business, communities and individuals throughout the United States. Integer is a professional law corporation founded on the promise that all clients must be represented with excellence and efficiency. 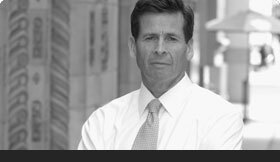 Integer is founded and led by Gregory Evans, a skilled national trial attorney possessing a coveted record of unblemished courtroom success and unexpectedly beneficial client settlements in many of the largest cases in United States history. Winning consistently, fairly and efficiently is, therefore, Integer’s hallmark. Gregory Evans’ legal accomplishments and opinions are reported upon regularly in worldwide media. Click here to view recent Press and Media. Laura Brys is an Associate with Integer focused exclusively on Integer’s federal court trials and litigation. Laura is a graduate of the Johns Hopkins University (2002) and the University of Southern California Law School (2005). Daphne Hsu is also an Associate with Integer. She received her Juris Doctor from the University of Chicago (2006) and her undergraduate degree from Yale (2001). Daphne completed a Judicial Clerkship with the Honorable Morgan Christen of the United States Court of Appeals for the Ninth Circuit. Daphne concentrates her practice on environmental trials and litigation. Cindy Lu is an Associate with Integer. She received her Juris Doctor and undergraduate degrees from DePaul University, Chicago, Illinois. Cindy focuses her practice on federal court trials and litigation with an emphasis upon environmental cases. Integer’s goal is to avoid the tension and partner driven economics of a large firm while delivering the highest quality and most sophisticated legal strategies associated with elite, big law firms. In order to achieve this kind of practice, Integer provides highly focused and concentrated representation for only a limited number of key clients at one time. Integer’s overall goal is to protect and advance the most significant legal interests of business, communities and individuals throughout the United States. In a move that will help us meet our clients’ growing needs, the lawyers of Integer Law Corporation have joined with Am Law 100 mainstay McGuireWoods. 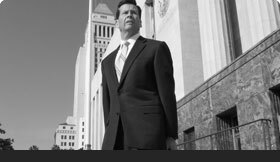 Integer and its founder, Gregory Evans, are renowned for their innovative approach to litigation and their resulting courtroom successes. Now, clients will get the same legal excellence and focused client service – but reinforced with the deep bench and broad resources of one of the world’s most accomplished law firms, a recognized market leader in delivering impressive results and impeccable client service. Please visit our new home on the web at www.mcguirewoods.com. For details on the combination of Integer Law and McGuireWoods, see our press release.